Preserving the rights of us all. The answer is simple – we defend those accused of breaking the law, even those who are guilty, because we believe in America. We believe in the American system of justice as created by our founding fathers. Over 250 years ago, American colonists in places like Boston, New York, and Virginia began expressing some truly revolutionary ideas. They dared to suggest that Europe had it wrong – that the governmental structure common in Europe was wrong. Many European countries were governed by monarchs – a ruling class of aristocrats who held their position by birthright. They possessed all the power of government and only bestowed upon their subjects those few rights and privileges they were willing to share. On this side of the Atlantic, the radical colonists had a very different idea. They believed that there wasn’t a special class of people, or at least there shouldn’t be. Instead, they believed that ALL MEN ARE CREATED EQUAL. 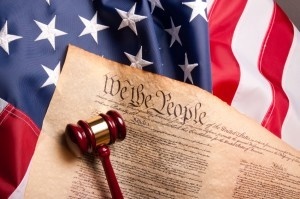 WE THE PEOPLE, all the people, are endowed by our creator with unalienable rights. Government, not the people, has limited power. The governed decide the limits on the power of government. Our founding fathers got it right. But the founding fathers knew something else also. They knew that the America they envisioned would be hard. In the summer of 1787 they came together in Philadelphia to draft a new Constitution. To put their vision for a new country on paper. 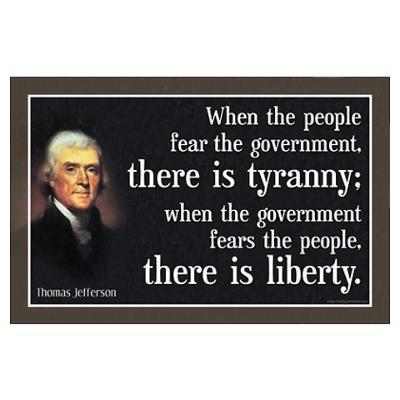 He knew what all the founding fathers knew. This new notion of a government of the people, by the people and for the people would be very hard to keep. The first attempt, the Articles of Confederation, had failed. Their vision was more clearly set out in the preamble to the new constitution. In order to form their more perfect union, the founding fathers recognized that the first thing they had to do was to establish justice. Justice was so critical to this new form of Union that four of the first ten amendments to the Constitution, the Bill of Rights, guarantee protections for the criminally accused: the right to due process of law; the right to remain silent; the right to trial by a jury of one’s peers; the right to confront witnesses and to compel the attendance of favorable witnesses; the prohibition of unreasonable searches and seizures; the prohibition of cruel and unusual punishment; and, the right to counsel. The right to counsel was a cornerstone of this new country even before it was a country. On March 5th, 1770, American colonists protesting British policies gathered in Boston. Frighteningly similar to much more recent events, British soldiers turned out and to control the protests and violence erupted. When it was over, 5 colonists lay dead and eight British soldiers were arrested and placed on trial for murder. Not surprisingly, few Boston attorneys were interested in representing the British soldiers. The soldiers were hated, viewed as terrorists who had killed Americans on American soil. Taking the case would likely ruin an attorney’s career. But one lawyer did step forward. He was not a British sympathizer and he was not naïve. He understood the consequences he would face, but he took on the case anyway. And, he won. In front of a jury of American colonists, he won. Attorney John Adams went on to serve as the 1st Vice President of the United States, and the 2nd President. Yet he viewed his defense of the British soldiers as one of the best pieces of service he ever rendered his country. He knew that the America he and the other founding fathers dreamed of would not be easy to create. Benjamin Franklin and the drafters of our Constitution knew that the republic they were giving us would be hard to keep. Sometimes it is hard to be an American. But if America is going to continue to be America; if it is going to continue to be the most exceptional nation ever to exist, we must accept those hardships and zealously defend those rights guaranteed by our Constitution. That is why public defenders are able to defend even the most heinous of criminals.